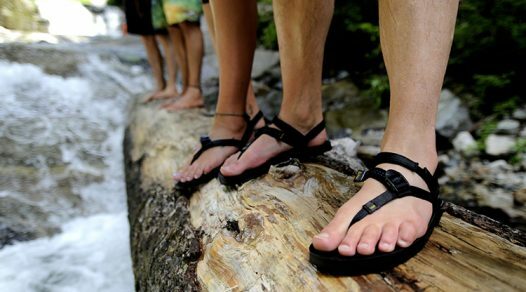 Best in comfort, stability, style, portability and extra “luxuries”. 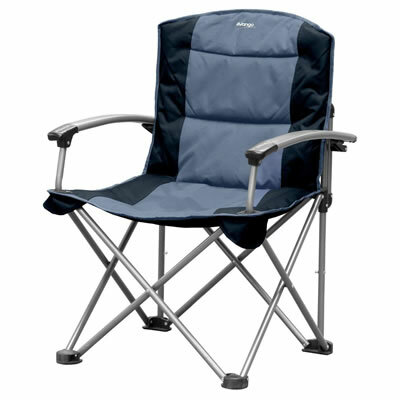 Camping – one of the leisures in life – would not be complete without a camping chair, one to lounge back in and relax. 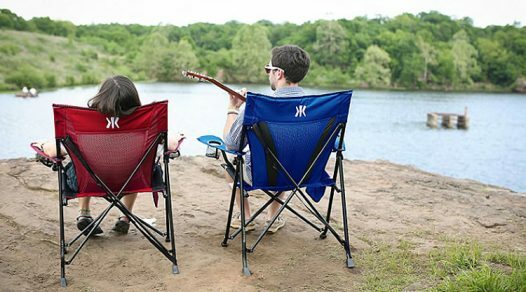 Camping chairs are much like regular chairs, but they are much lighter, can be folded and transported, and are flexible for many situations asides from camping, including: festivals, gatherings, and outdoor barbeques. 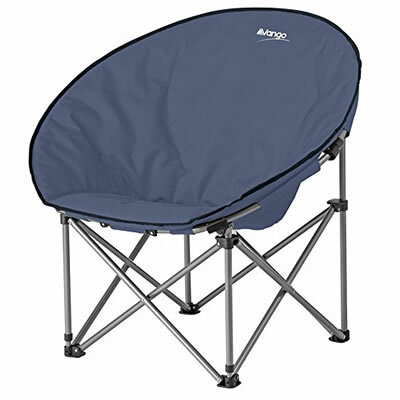 You wouldn’t want to be stuck in a lousy camping chair that’ll collapse while you’re sipping on a cold brew; you need to have a comfortable and sturdy one. 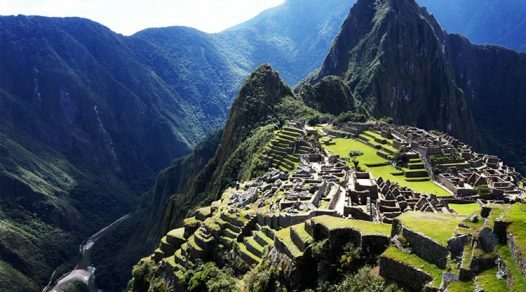 Therefore, we are here to help you choose the best camping chair for you, guiding you through 10 products specialised in comfort, stability, style, portability and with extra “luxuries”. 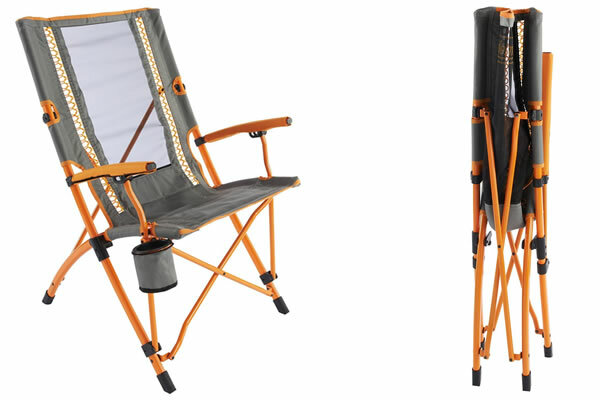 Comfortable, foldable and coming in four vibrant colours – red, blue, lime and orange – this 5kg camping chair can hold up to 136kg and is easy to clean, due to its polyester coated material. You can kick back and relax with a drink, then put it into the handy mesh cup holder that’s separate from the armrest, so it won’t obstruct your laid back mood. 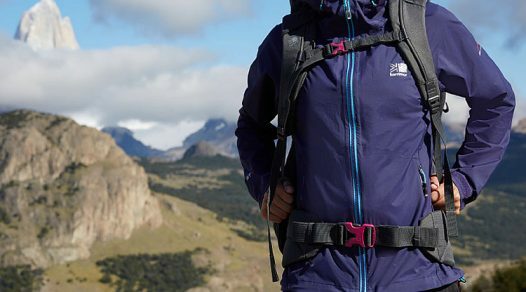 With a durable steel frame and breathable material, it is easy to collapse into a compact size, after which it can be put into an included carry bag for easy transport. 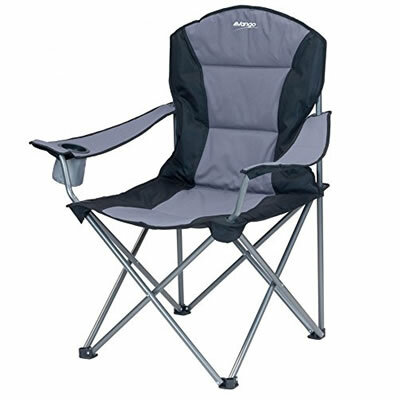 A lightweight camping chair is one we all search for when we go on long journeys – this simple design is made out of mesh and nylon, which reduces its weight, making it easier to transport. 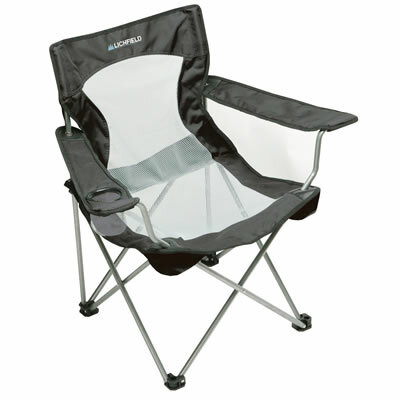 It also has a durable steel frame resistant to rusting, as well as an integrated mesh cup holder in the arm rest. 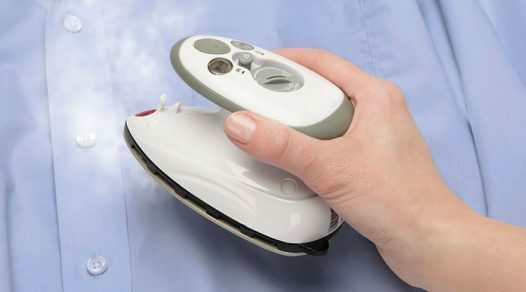 It is easy to fold up for better portability in the included carry bag. 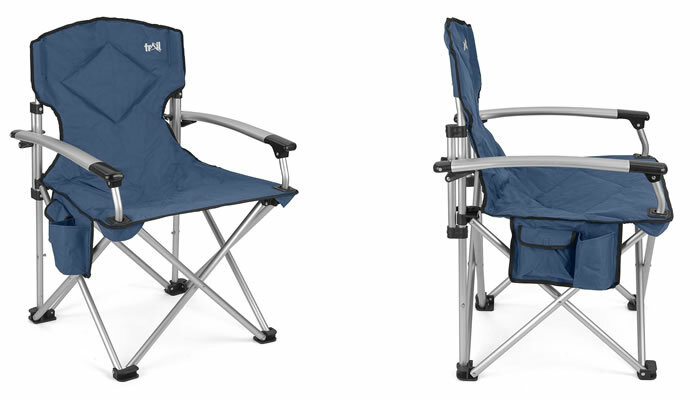 Curl up for hours on end in this moon style camping chair, the Lunar by Vango. With its wraparound structure, you’ll feel cosy and relaxed sitting on and leaning into the padded seat and backrest, no matter if you’re a small or big individual. Thanks to its sturdy steel frame, it can support any weight up to 120kg and when you’re done using it, it can be folded into its own carry bag for smooth transport. 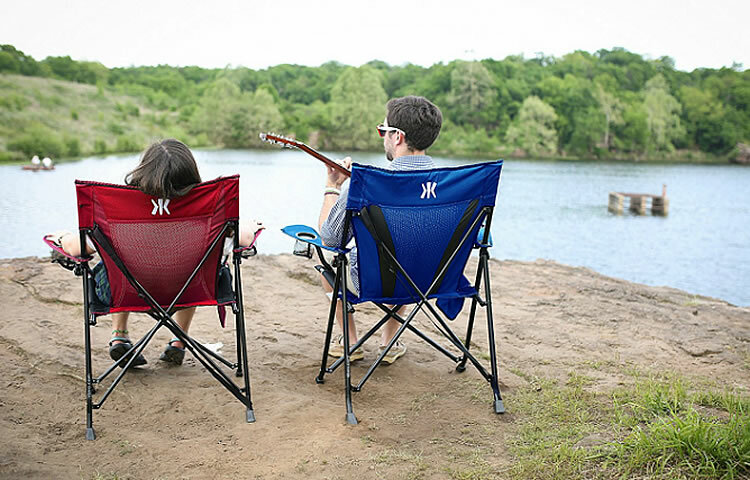 Sink into this chair, close your eyes and relax, thanks to the Coleman Sling’s tall and wide backrest that’s reclined at an angle intended for optimal comfort. 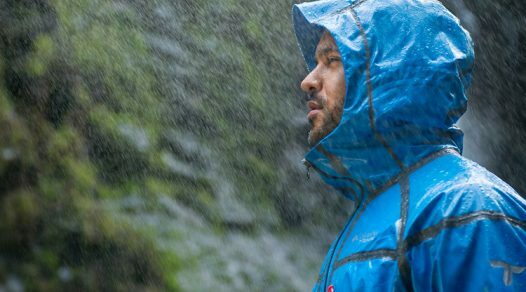 The lightweight aluminium frame is rust resistant and sturdy enough to hold 113kg, whilst its 600D polyester fabric is resistant to abrasion. 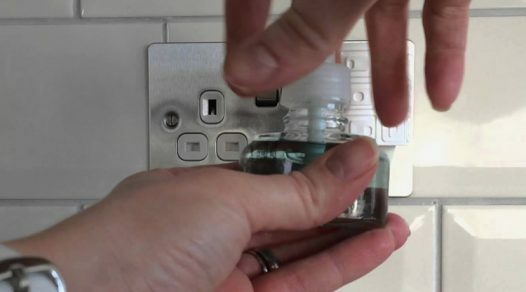 Moreover, it can be folded down into a compact size after and stored away into the included bag. Function and practicality is a speciality for this chair! 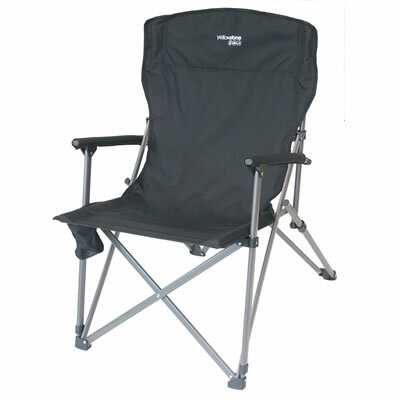 Stylish and one-toned, the Yellowstone Castleton camping chair features an extra wide seat for larger people, has a tall backrest for better back support and can carry up to 135kg. The built-in cup holder conveniently swivels outwards to provide you with a temporary home for your beverage, while you needn’t worry about it getting in the way of your resting arms. 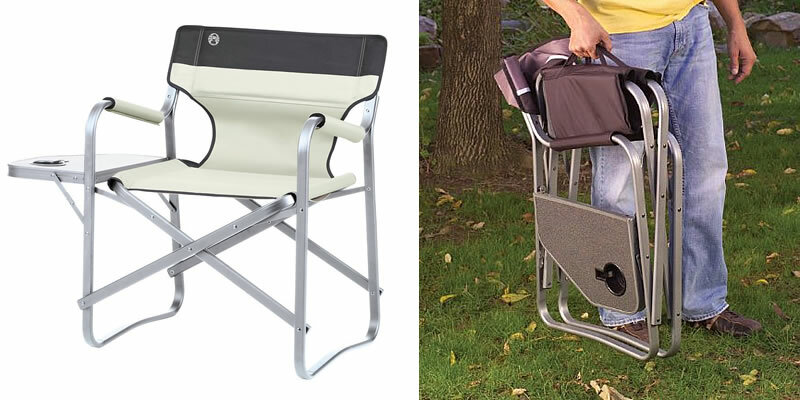 It’s quick and easy to open this camping chair up without a hassle and just as easy to fold it up and pack away in its carrier bag. Keep your beverage close, but keep your snacks and camping accessories even closer. On the side of this camping chair by Trail is a pouch where you can store your drink, as well as a number of other items of your choosing. 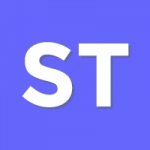 The armrests are particularly wide for a more relaxing posture and they can also be locked in place for maximum stability; even better, the seat and backrest are double sponged padded for extra comfort. 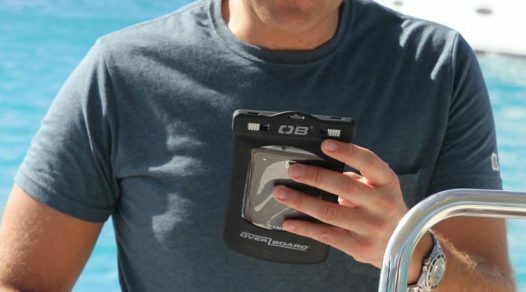 The aluminium frame offers both lightweight and sturdiness, and it’s also easy to fold and store in the included carry bag. 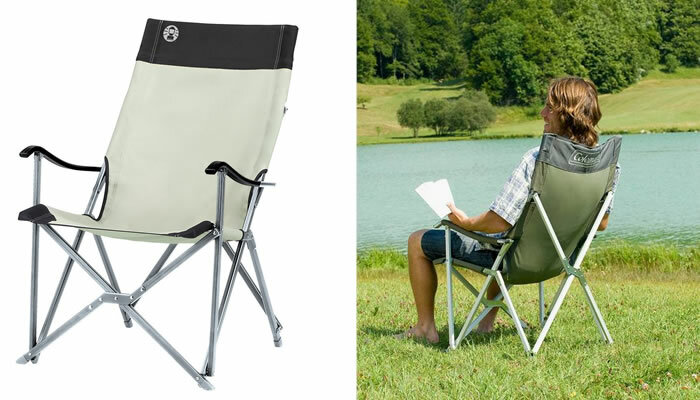 The Vango Goliath camping chair is deliberately oversized with a tall backrest and a durable frame that can support up to 180kg – it’s ideal for both David and Goliath. 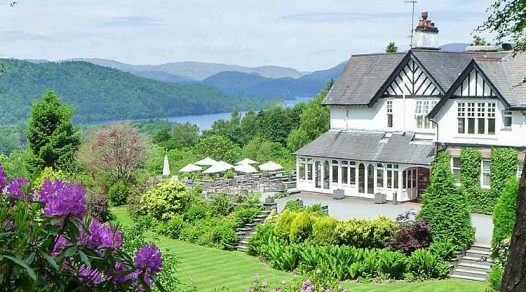 A padded seat and backrest provides the slightest of additional comfort and an integrated cup holder in the arm rest is the perfect complement to a tranquil scenery. If there’s one chair to bring with you outdoors – whether you’re camping, fishing, BBQing or just out in the garden chilling out – it’s this Coleman Deck Chair. 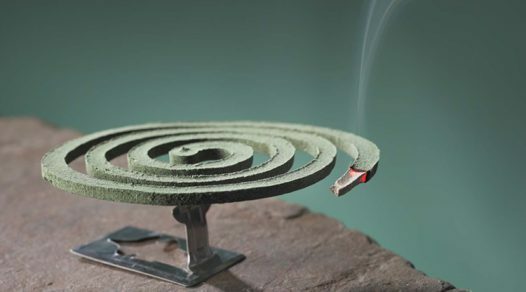 Attached to the side is an incredibly useful table – large enough for a small plate of food – with a cup holder molded in. Your fears of food and drinks sliding off the table are unfounded as the table can be securely locked in place. A multitude of comfort aspects makes this chair primed for lounging around – foam padded armrests (can be removed and washed), spacious seating and angled backrest – while its 600D oxford polyester construction offers durability and resistant to abrasion. 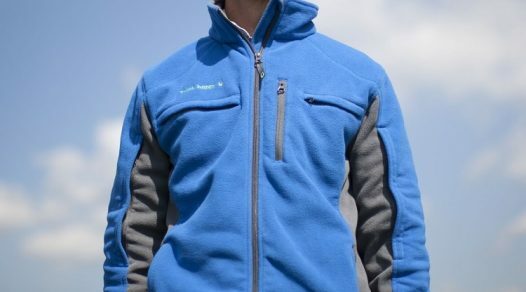 Named after the mythical giant sea monster, the Vango Kraken is oversized and ultra-strong, just like the monster. Wide seat and backrest, thick and curved armrests, large plastic feet and 19mm thick steel frame offers the best in strength and stability, supporting a maximum weight of 180kg. 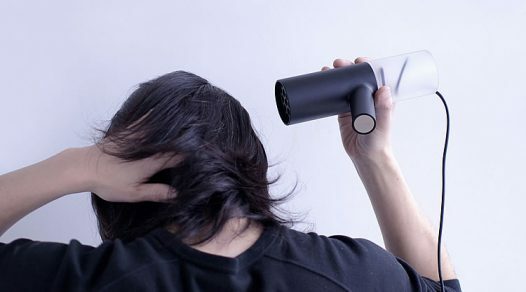 Don’t let its sizeable build fool you though, because it can be easily folded into compact size after use. 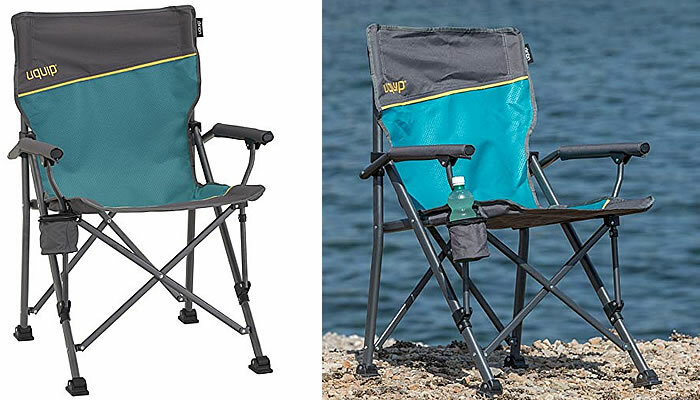 Probably the most stylish camping chair on our list, the Uquip ROXY is designed to withstand various types of terrain with its extra wide stable feet and a strong steel frame, making it perfect for a wide range of outdoor activities – camping, fishing, outdoor festivals, hunting etc. Yes, it has its own pivoting drink holder but the clever part is the bottle opened fixed on the leg of the chair. When it’s time to get up and go, a matching large stylish carrier bag is included.